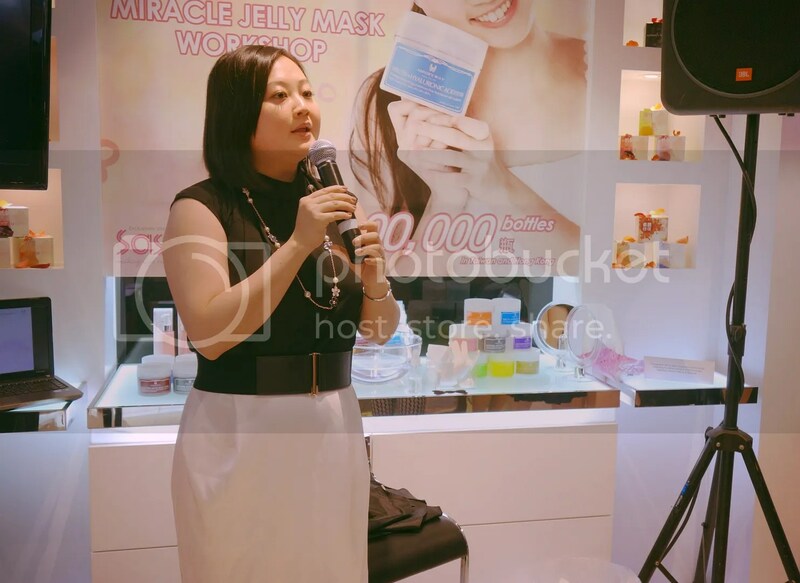 Hello my readers, i have attended an event hosted by SASA Singapore last week and i cannot wait to share the Jelly Mask with you! Tried the mask immediately when i got home as i was amazed with the instant results shown on the model! Who says that there’s no such thing as instant results – With the Annie’s Way (Miracle) Jelly Mask, it is possible. 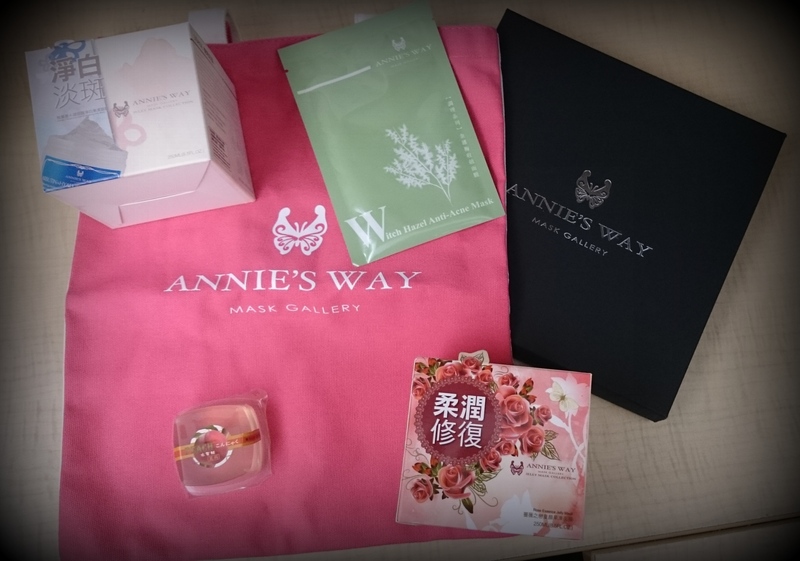 Founded by Annie in 2000, Annie’s Way is a beauty brand that values quality above all. The brand’s signature jelly masks use natural and effective ingredients such as aloe vera, hyaluronic acid and arbutin to address various skin concerns. 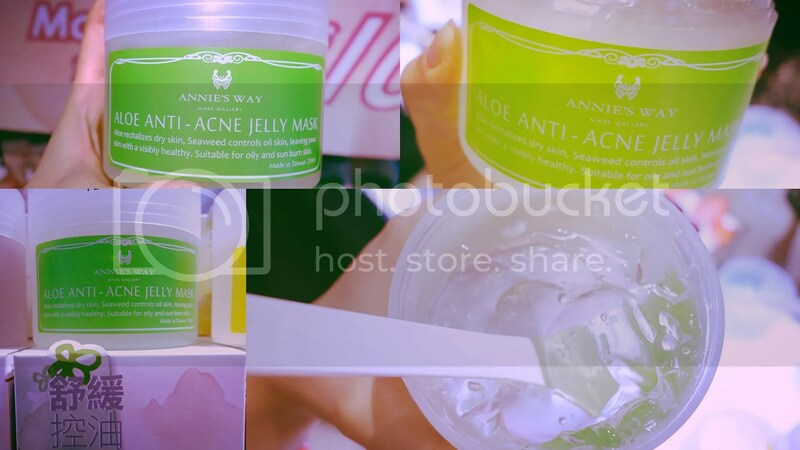 Annie’s Way Jelly Mask not only helps to moisturise and whiten skin, but it also addressing skin concerns such as anti-wrinkle, anti-acne and soothing needs! 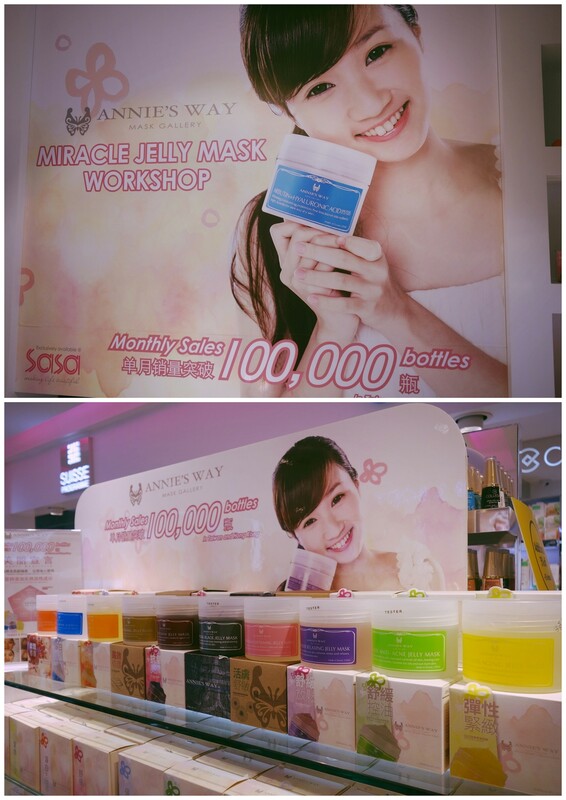 Annie’s Way Jelly Mask has a monthly sales of 100,000 bottles in Taiwan and Hong Kong! It is also highly recommended by Bubzbeauty and her reviews are always trustworthy! When it was first released in Singapore, the masks flew off the SASA’s shelves. 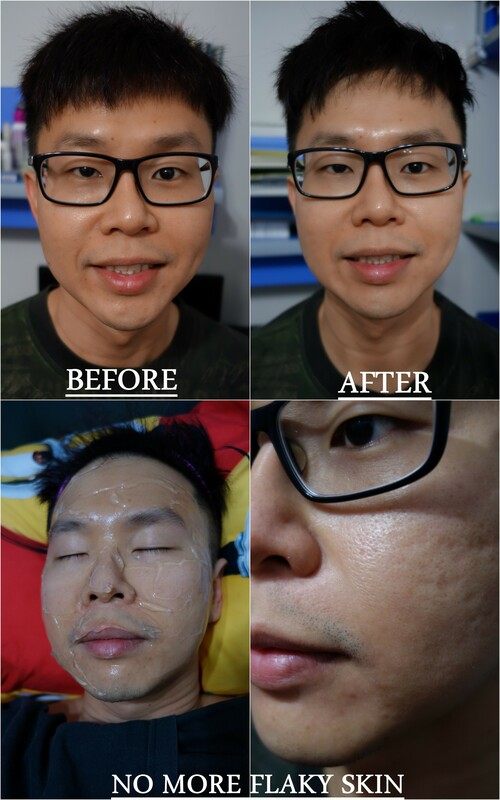 One customer even commented that she has a hard time finding the Arbutin + Hyaluronic Acid Brightening Mask as it is always OOS! . Made for every ladies in mind, Annie’s Way products contains only natural and effective ingredients. Every products have to go through stringent quality control during production to ensure that they are safe to use. The products do not contain paraben, alcohol, anti-biotic, fixature, and steroids. 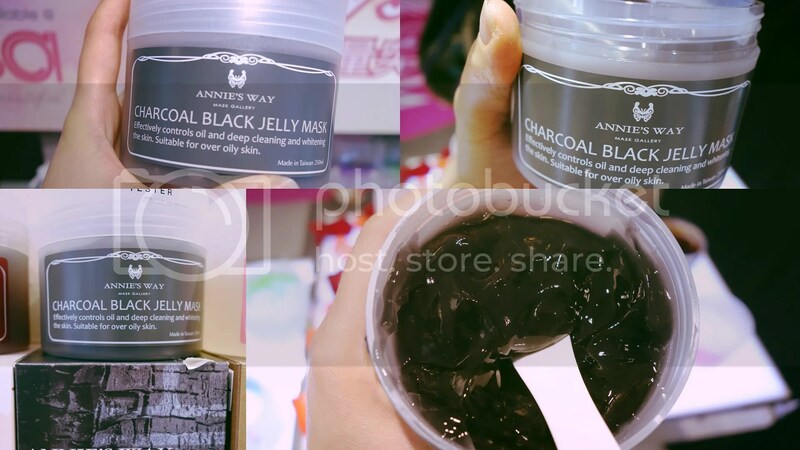 Annie’s Way Jelly Mask is able to address seven types of skin concerns as it will deep moisturize, brightening & improve skin dullness, minimize pores, prevent + reduce wrinkles & fine lines, remove blackheads, calms sensitive skin and soften skin + lift away impurities. 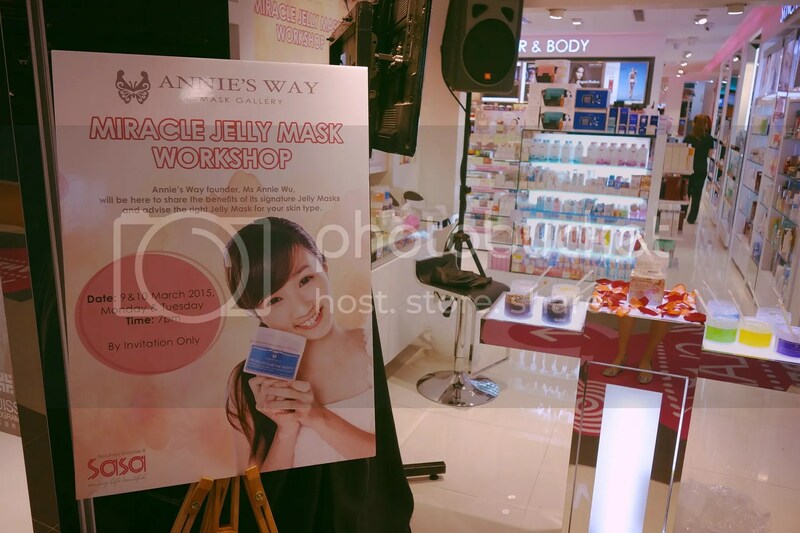 The team behind Annie’s Way came to Singapore to share more about the products and also many beauty tips on how to achieve beautiful skin.. Here’s the founder of Annie’s Way and her skin is really flawless. She’s also a frequent user of the Jelly Mask and the flawless state of her skin is the best walking advertisement on the effectiveness of the Jelly Mask! Till date, there’s a total of 10 types of Jelly Mask for different skin needs and concern. If you have wish to delay and tackle signs of aging, the Anti-Aging Jelly Mask will be able to help you with these areas (Whitening, moisturizing, anti-aging and minimizes fine lines)! With regular use, aged and wrinkled skin will appeared to be more youthful, toned, luminous and flawlessly radiant. 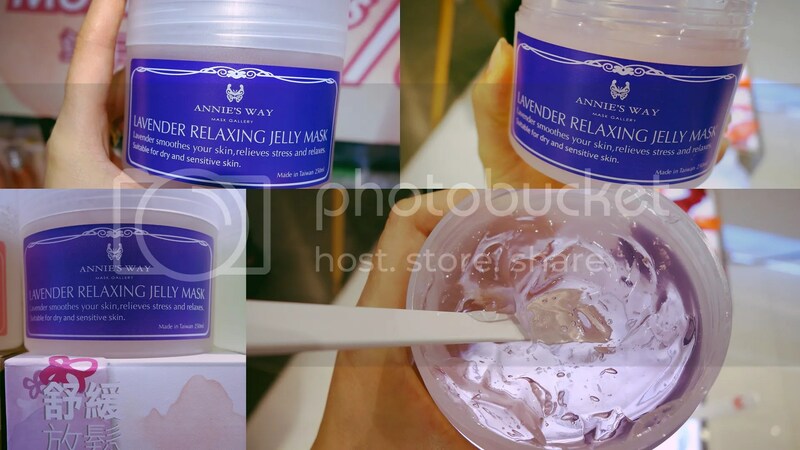 For tired and stress skin, the Lavender Relaxing Jelly Mask will be able to smoothes your skin, relieves stress and relaxes skin~ This mask really has a soothing lavender scent so the team recommends that you use it before bedtime.. However, do remember that this is not a sleeping mask and you must remove it within the recommended time-frame for the product to work best. One customer told Annie that she applied it to sleep and she warned that it might cause skin irritation if left overnight! Do you know that when snails are agitated, they will excrete bodily secretion as a means to protect themselves. The bodily secretion can be added to beauty products as they are thought to provide many benefits to skin. 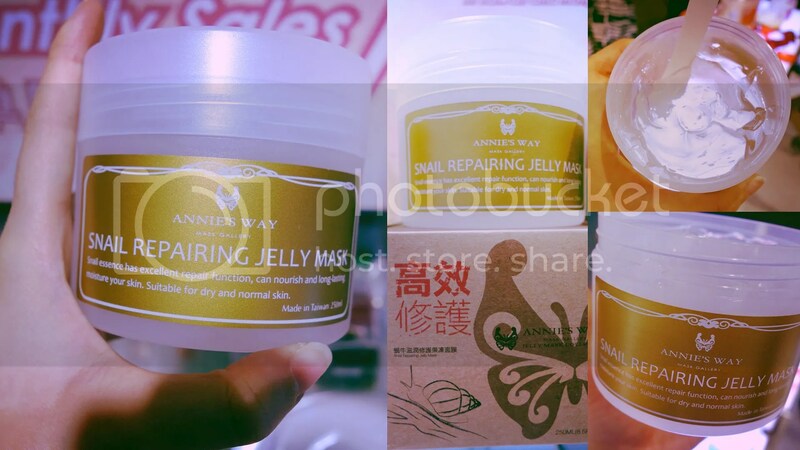 For the Snail Repairing Jelly Mask, it contains the highly beneficial bodily secretion which has repair function and will nourish and provide dry & normal skin with long-lasting moisture. Honey is a natural beauty ingredient that nourishes and deeply moisturizes your skin. The Honey Deep Moisturizing Jelly Mask is suitable for overly dry skin that needs intensive hydration. My beautician told me that Honey skincare products are very suitable for my skin which is dehydrated, sensitive and acne prone as honey has antibacterial and clarifying properties. It is also packed with antioxidants and extremely moisturizing. Hence, the Honey Deep Moisturizing Jelly Mask will be very suitable to sooth and control sensitive dehydrated acne-prone skin. Calendula Softening Jelly Mask is good for people with dry and sensitive skin as Calendula Essence can effectively moisturize, soften and reduce skin discomfort. I tried this on my hands and i can see why it is suitable for sensitive skin. My skin feels soothed after i wiped the mask off! 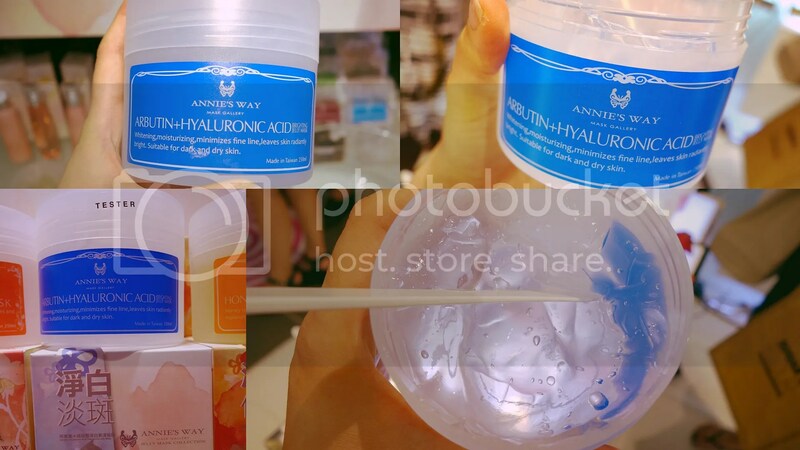 Introducing the legendary Arbutin+Hyaluronic Acid Brightening Jelly Mask that is always OOS because it is so popular! For people who wants instant skin brightening, look no further as this jelly mask is able to whiten, moisturize, minimizes fine line and leave skin radiantly bright! This Jelly Mask is highly raved by Bubzbeauty and i will give this a try soon (when my skin is more stable)! Aloe Vera is a recognized beauty skin enhancing ingredient and it is highly effective on oily, acne prone skin or sunburnt skin. The Aloe Moisturizing Jelly Mask has the same benefits as it revitalized dehydrated skin, reduce redness, soothes inflammation and leave skin with a visibly healthy and youthful! 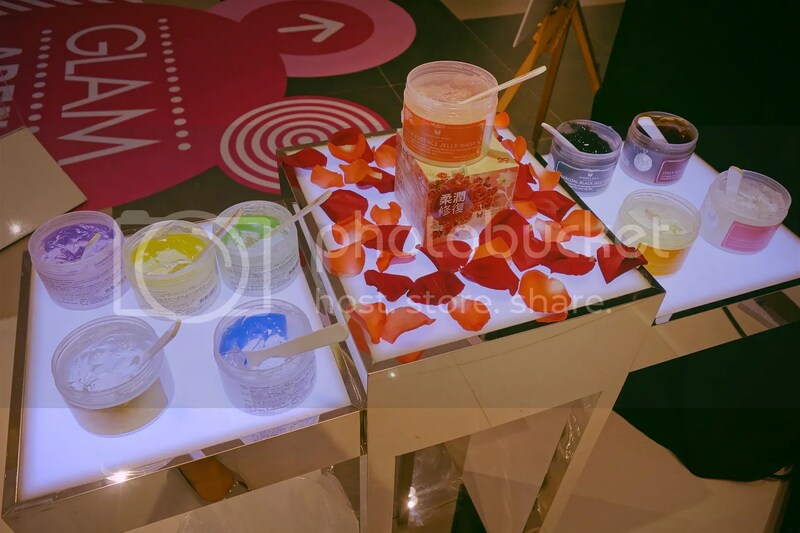 The Rose Essence Jelly Mask is a newly launched product and this mask will be suitable for people with normal and dry skin. It contains 3 types of roses – Red rose to nourish and hydrates, black rose to rejuvenate & repair and white rose to whiten and illuminates. Will be reviewing this jelly mask before as the team told me that this mask will be suitable for my dehydrated (hence oily) yet sensitive skin! 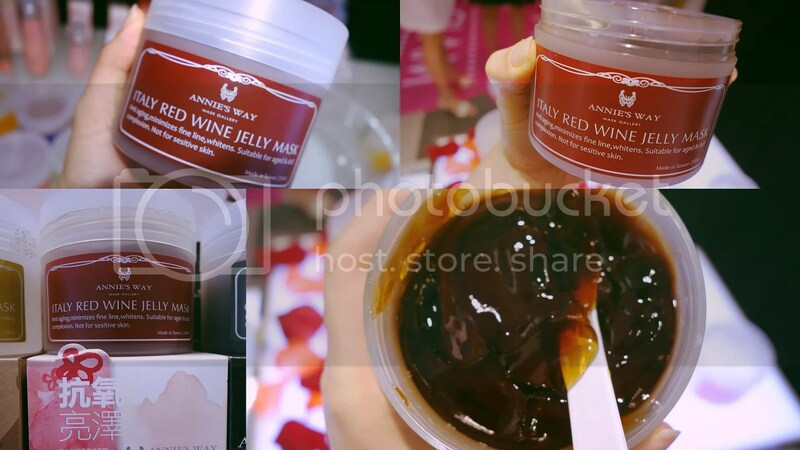 The Italy Red Wine Jelly Mask will be suitable for aged and dull complexion. It will tackle signs of aging, minimizes fine lines and whitens skin. However, this mask will be slightly ‘more potent’ on skin so it is recommended to do a patch test before making your purchase. There will always be a tester for every mask in all SASA outlet so you can give it a try before committing. 1) Clean face accordingly and apply face toner. 2) Apply jelly mask, approximately thickness of 0.3 to 0.5 cm by using spatula provided (Spatula is included in every purchase of the jelly mask). 3) After 30 minutes, remove the jelly mask by scraping gently from outside to inside. It will be more effective if scrape forcibly. This is because the jelly mask has softened the blackheads and ache, you will be able to scrape it out easily. 4) Wipe with tissue after scraping all the mask out. * Rinse with water immediately if you feel any discomfort. For sensitive skin, apply for 15 minutes for the first time, and follow by 15 to 20 minutes. As shown in the picture below, you are supposed to apply the same thickness (0.3 to 0.5 cm) in order to reap the full benefits.. Also, remember to remove it after 30 mins and DO NOT REUSE THE JELLY MASK. The skin on both hands are always dry and scaly. After wiping off the Rose Essence Jelly Mask on my right hand 30 mins later, i was really surprised to see that the dryness has went away.. Skin tone & texture also improved so much! The Jelly Mask is just like a savior to my flaking and dry skin! Not sure if it is due to PMS but i’m having some breakouts on my jawline ( Hormones! Please be obedient!). Plus skin is becoming more sensitive again with the usual redness and tightness. 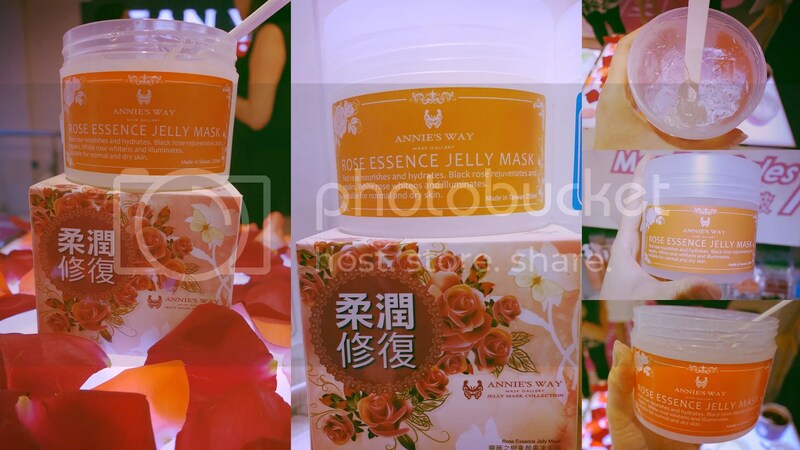 Since the team behind Annie Way told us that the Rose Essence Jelly Mask will be able to nourish, hydrate and repair skin, decided to try it asap to see if it will soften my blackheads & clogged pores. At the same time, i hope that i will dehydrate and stablise sensitivity. First impression – The first thing that came to my mind while using this mask is that it feels so cooling, soothing and refreshing! Rose Essence Jelly Mask has a transparent gel-like jelly texture and the rose scent smells really amazing. After applying a thick later (0.3cm to 0.5cm), it adheres to skin very well so i need not worry about it sliding off from my face and i can resume my activities while leaving it on for 30 mins. After thoughts – The jelly mask can be difficult to wash-off due to the thick slimy texture. The first time when i applied, i was lazy and did not wipe with tissue after scraping the mask off before rinsing. Hence, remember to scrape the mask off as much as possible then wipe it with tissue to remove residue. After which, rinse skin with lukewarm water in a circular motion to get it off completely. After removing the Jelly Mask, my skin feels so much smoother to the touch. I was excited and quick put on my spectacles. True enough, it really looks so much smoother and brighter!!! Before application, my skintone is uneven, dull and texture is patchy (With some breakouts on chin area). After application, the texture and skintone improved significantly! I can even see some whiteheads / black heads dislodged from my nose area (which i can remove it by applying slight pressure). The product is indeed very moisturizing and soothing as skin no longer feels tight and it became ‘light’ after i remove the mask.. The next day, my skin feels even better! Not tight and as oily as before.. I can even see a reduction in the redness of my breakouts.. Some spots even dried up and i do believer that this product is very effective in clearing out clogged pores. 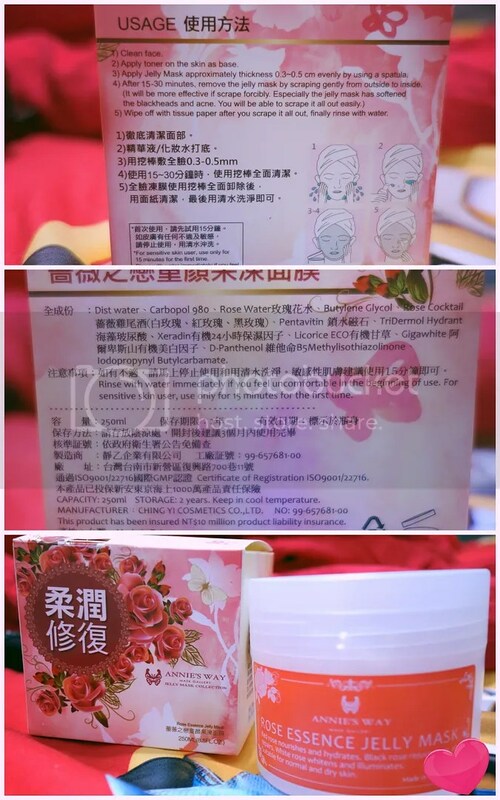 My Hubby requested to try the Rose Essence Jelly Mask as his skin has been feeling really tight and dry after travelling (Till the extend that it is painful)~ On some parts of his face, i can even see flaky skin! He told me that the mask smells like Bandung and that the jelly mask reminds him of the hair gel (LOL!). He said that the jelly mask feels really cooling and soothing on the skin. The cooling and refreshing sensation lasted quite sometime which he appreciates in today’s hot & humid weather. He said that the mask is quite difficult to wash off and he has to spent more time washing it off completely. The first difference i observed is that his skin became brighter, glowy and feels smoother to the touch (Which he agreed!). He told me that his skin isn’t as tight and dry (hence less painful) than before. 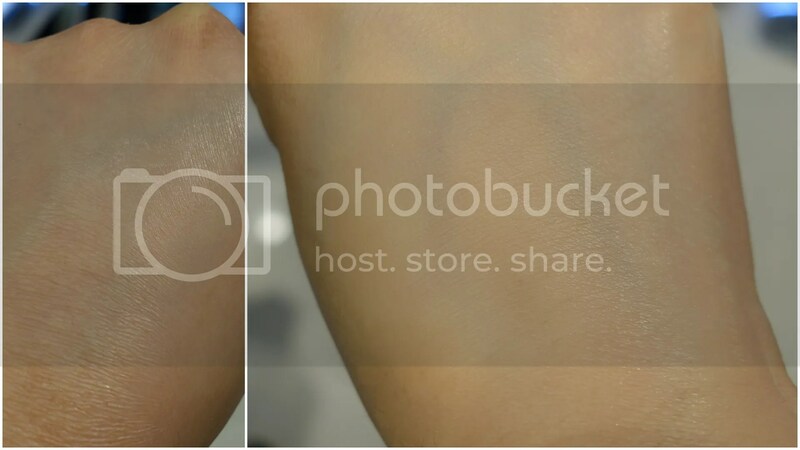 Upon a closer look (which u can look at the picture closed up), i also observed that skin no longer looks flaky and it looks well-hydrated! My hubby even said that this is the only mask that gave great instant results and will highly recommend it (Me too!). Thanks for reading and stay tune for more upcoming reviews~ Till Then! Reminds me of Aloe vera! !